I am once again a night dweller for work and my days and nights are all mixed up. I am annoyed that I missed WIP Wednesday last week and had really good intentions to update you but unfortunately that didn't pan out. I have been busy though since during work I can craft while answering calls so I have lots to share. Alas, I didn't get a group shot this week but here is the individual progress. 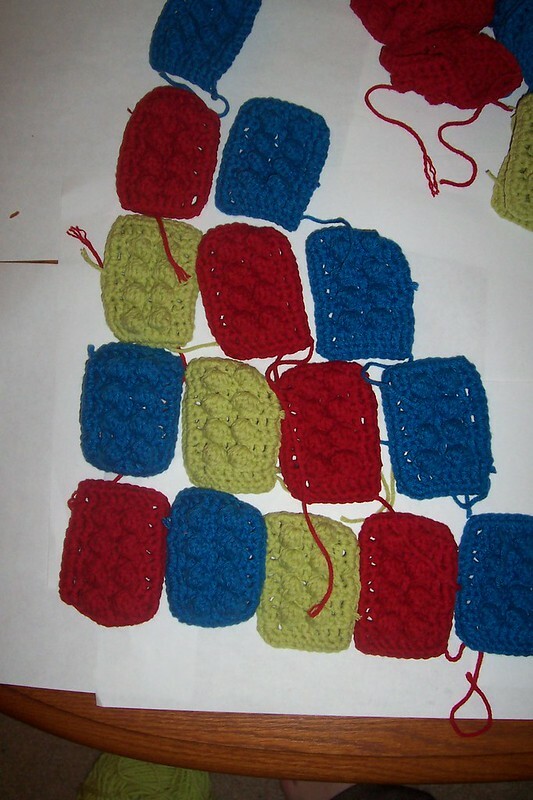 I have 20 of the Green blocks done 18 of the Blue blocks done and 13 of the Red Blocks done. Just 2 more Blue to make, 7 more red and 21 yellow. I have taken a bit of a break because I am blocked out but I am so close to finishing this blanket. 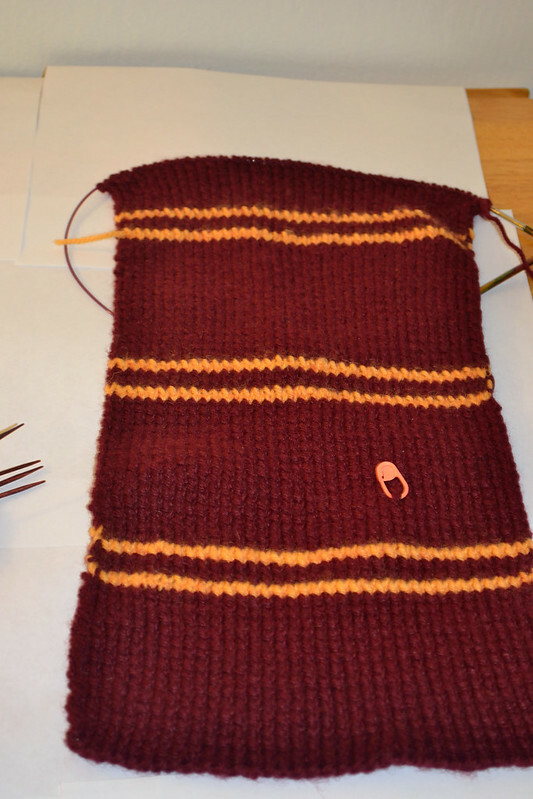 So much progress on the scarf! 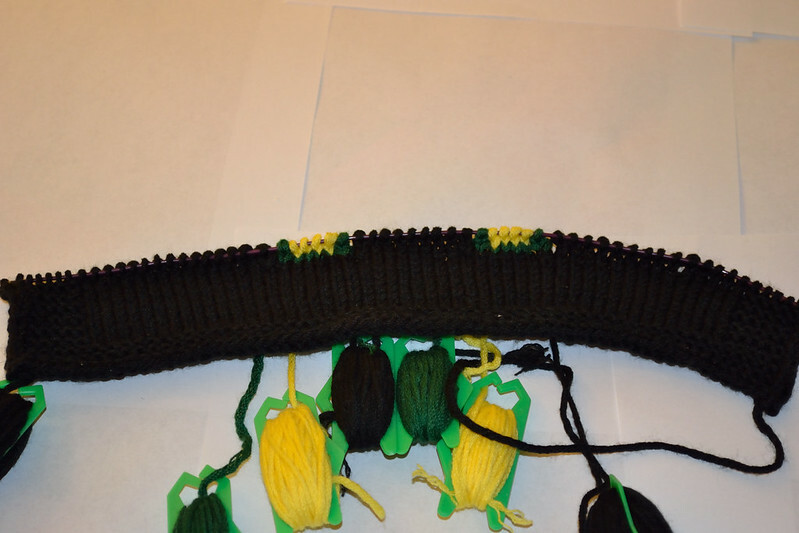 I got so much done on the scarf and I think it is going to be really awesome! This has been an easy go to project to do while working. Isn't the Teal and Gold pretty? I got some of the White Centered Grannies done. I love these and they look so nice together. I really love using Debbie Bliss Cashmerino. 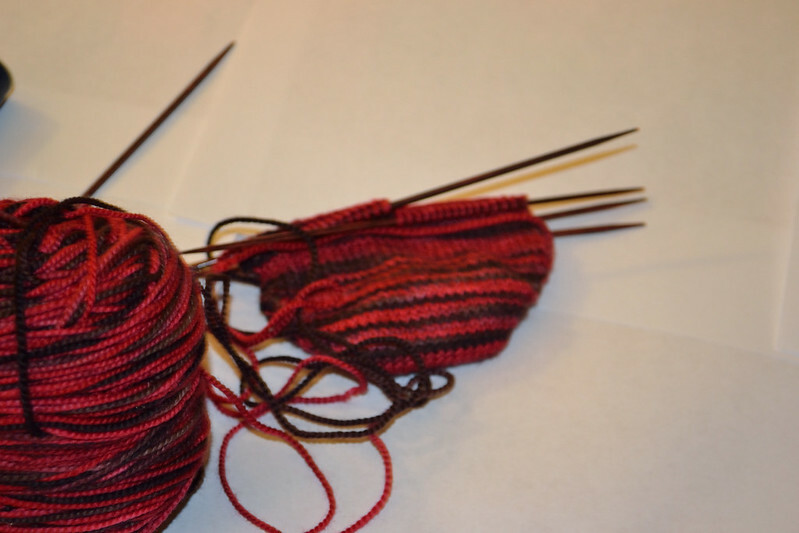 These are my first toe up socks and they are going fairly well. I am pleased at how they are turning out. I had a false start but then figured out what the directions were saying and am now at the foot for rounds and rounds of stockinette. It's a little hard to tell but there is the bottom of the A. So, I was inspired by The Big Bang Theory Show, Episode 11, Season 4 The Justice League Recombination. The premise is that the gang all go to a New Year's Eve party at a local comic book store dressed as the Justice League of America. It was recently re-broadcast and an idea struck to make a blanket with all of the super hero characters that were portrayed. Well needless to say, I think this blanket is going to be Super! I hope to publish the charts when I (and my wonderful test knitters) are done with the first rounds to make sure the chart turns out the way I expect. 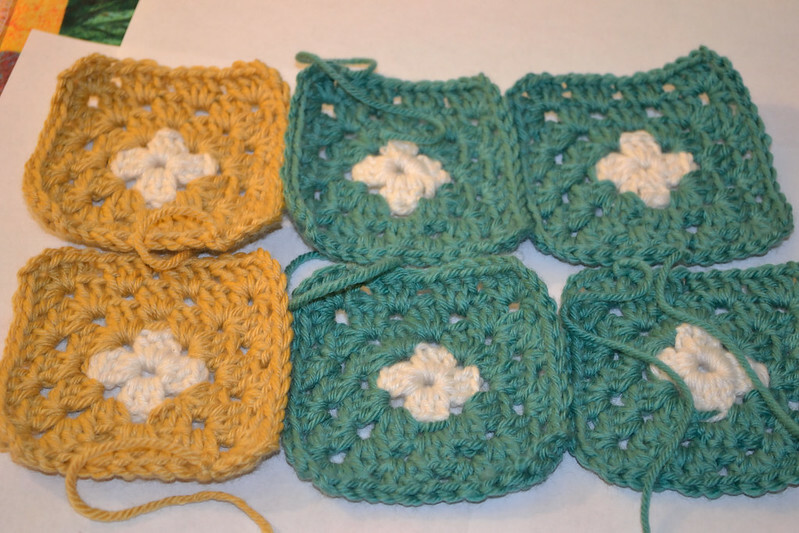 Stay Tuned for the progress of this and other squares. Oh can you tell how excited I am! Yeah, sometimes these ideas just come to me. I am even have the design vetted by the guy at my local comic book store. I want it to be authentic. Thanks I needed a bit of a break but I am now anxious to get it done. I think it really is going to be stunning. Hello stranger! I've missed hearing from you! Your idea for the blanket is awesome! I cannot wait to see how it develops. As always, you have such wonderful projects! You and me both. This night shift takes so much out of me. I mean it when all I do lately is work, eat and sleep. I miss everyone too!